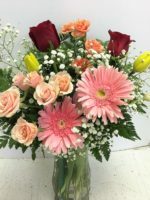 Let Pamela design the Purple Circle for your loved one. 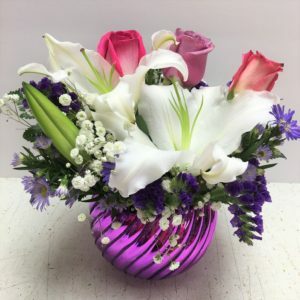 Assorted and soft-colored roses are added to Pamela’s choice of either white lilies or stargazer lilies, and custom designed in a beautiful purple bowl that can be used for years to come. If purple is her color, then this Purple Circle is the arrangement for you! 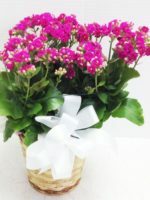 It’s perfect for Mother’s Day, for a hospital room, as an anniversary gift or if you’re “in the dog house”. 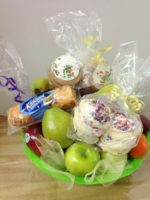 Check out our Special Order Purple or Mom Loves Purple as other options.